Babilla Roofing is recognized as a leader among roofing contractors in Northwest Indiana, and is experienced with many kinds of roofs. 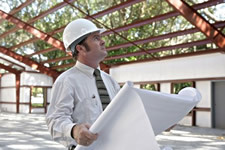 We have built a reputation for dependability, professionalism, and roofing estimating precision. Babilla roofing provides quality roof repairs and new roof installations for both residential and commercial roofs. Since 1986, Babilla Roofing has grown into one of Northwest Indiana's premier roofing companies with our trained roofing craftsmen in the field and professional management team in the office. We offer a full range of roofing and architectural sheet metal solutions for commercial, industrial, institutional, and residential building owners. Babilla Roofing is fully insured and bonded. Upon request, we'll provide proof of liability and worker's compensation insurance with qualifications above and beyond industry standards. Click here to request a Qualifications Statement. Babilla Roofing takes great pride in the training and experience we bring to every roofing project. Our commitment to our employees and their families to provide a safe workplace environment extends also to our roofing customers and their employees. All Babilla Roofing employees engage in extensive and ongoing training in safety, material handling, and product application to ensure a safe, high-quality roofing installation with minimal disruption to your daily activities. All Babilla Roofing employees hold OSHA 10-hour cards and	first aid cards. Babilla Roofing belongs to the Building Construction Resource Center (BCRC) Association and adheres to their drug testing procedures. All Babilla Roofing employees are included in this program. At Babilla Roofing, safety is ongoing every day on every job, and is continuously changing and improving. Weekly tool box talks and training keep us up-to-date with OSHA and customer requirements, and help us to keep our sites safe and drug-free. Our 2010 EMR Rating is available upon request.